Machine guarding is one of the most common sources of workplace injuries. Machine safety guidelines state that any part, function, or process that may cause injury must be safeguarded. 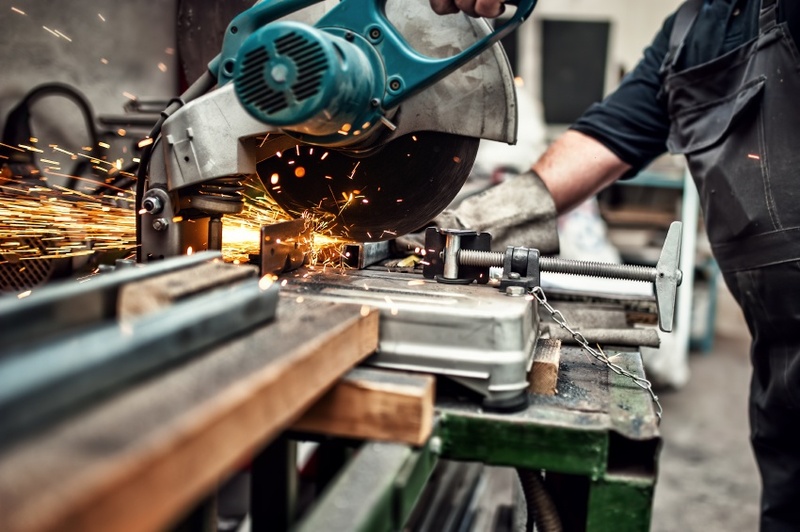 Unfortunately, we all too often find employee exposure to unguarded or inadequately guarded machines, which results in approximately 800 deaths and 18,000 amputations, lacerations, crushing injuries, and abrasions per year, according to a recent OSHA report. Most concerning about these statistics is that the vast majority of these deaths and injuries are preventable. Operating an unguarded machine can be indicative of various factors; it is often a function of a person’s low SafetyDNATM or weak safety leadership on the part of supervisors and/or managers. Therefore, I offer three tips for both employees and safety leaders to reduce these risk exposures. Machine guarding is there for a reason, so it is critical to change the mentality that rules do not apply to us. Safe behavior is an expectation that coworkers hold each other accountable for in organizations with a strong safety culture. However, some individuals are more naturally inclined to remove, or circumvent, guarding mechanisms if it makes the task easier or faster. Therefore, safety leaders who know their people well, and recognize their employees’ safety blind spots, will be better able to correct at-risk behaviors and reinforce the right behaviors. The goal is to achieve employee commitment to following safety rules, not simply enforce them. Employees who naturally feel uncomfortable in situations where they have exposure to hazards are less likely to be injured on the job. This is not a lack of confidence in one’s ability to perform the job, but rather a respect for the power of the machine. Although some jobs are inherently more dangerous than others, properly safeguarding a machine should be one of the first steps to minimizing the present risks at a job site. In addition, employees and leaders alike must constantly fight complacency and remind people that they should never let themselves get 100% comfortable around dangerous equipment, even when it has guarding in place. Due to the stress of meeting production deadlines, employees often remove or bypass machine guarding to get the job done faster. However, job performance cannot come at the cost of risking an injury. Employees must stop to think about the potential consequences of not guarding any type of powered equipment – especially those who tend to be more impulsive on the job. Safety leaders can also play a part by building employee respect for the machines they work on every day. They can achieve this by supplementing safety meetings with 1-on-1 coaching and feedback in the moment: that emphasizes the importance of machine guarding to each employee’s workstation. This offers leaders with a rare opportunity to make an everyday safety topic more personal. Some employees might need a simple reminder to not get complacent and take shortcuts, others may need a critical reminder to inspect all guarding on their machines before they start their shift. Everyone is different and everyone has unique psychological strengths and blind spots in their SafetyDNA which can influence how and when they use machine guarding. In addition, employees are more likely to engage in safe behavior when they see their leaders making it a priority to talk to them 1-on-1 about it. Machine guarding accidents are preventable when the appropriate safety standards and precautions are in place and adhered to by everyone. But more importantly, we cannot ignore the individual traits and tendencies of our employees and how they influence machine guarding behavior. By taking these into account and taking the time to make machine guarding safety more personal, we can significantly reduce the number of fatalities and injuries which still occur every year in this country.